Self-proclaimed ‘black sheep of the family’, Avril Copeland has deviated from the family traditions of a career in the suit-and-tie business, and pursued a career as an adventure and expedition racer. 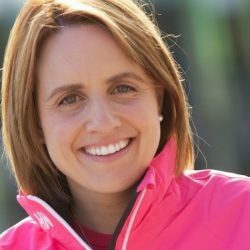 A former Ireland Hockey player and practicing Physiotherapist, Avril spent several years in the music industry in Nashville before becoming Ireland’s leading female ultra endurance racer, and founding TickerFit. After having played hockey for the under 21’s for Ireland, Avril Copeland attended a country music concert and felt compelled to try and get a job in the music industry. She ended up working for a songwriter in Nashville for 4-5 years, but during a stay back in Ireland for Christmas, she flicked past the Eco Challenge Borneo on TV3, and was hooked. Upon advice from an Eco Challenge contestant, Avril started running, and bought a kayak and a bike, and subsequently attended the Odyssey Adventure Racing Academy. She then participated in one of the toughest races on the US East Coast, and has since raced in over ten expedition length races, including three World Championships, 5 Eco Primal Quests and a few 48 hour and 24 hour races. In addition, Avril has completed four marathons and seven 50K trail races. During these challenges, she has broken an elbow, her back, an ankle and has even had a twig removed from her eye. With degrees in exercise science and physiotherapy, Avril Copeland founded TickerFit with technologist Greg Balmer in 2011. TickerFit is a unique cloud based application which empowers health professionals to prescribe and deliver personalised lifestyle interventions to patients who are currently living with a chronic condition or at risk thereof. Using the cloud based platform and smartphone technology, health professionals can also monitor the personalised programmes. Results are tracked in real-time using web based technologies, so improved outcomes may easily be measured and analysed.